Qantas has upset its engineering union by quietly inking a deal to send its domestic fleet of 20 Boeing 717s to Singapore for heavy maintenance. 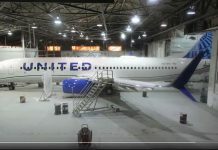 The work was being done in Canberra by third-party maintenance provider Korr Aviation, which was awarded a four-year contract when the heavy maintenance operations were moved to the Australian capital amid some fanfare in 2015. That contract was due to expire in April and decision was made to go to tender for the ongoing maintenance. The competitive tender process was won ST Aerospace –a Singapore-based aircraft maintenance, repair and overhaul provider with more than 8000 staff worldwide — with a start date of July 2019. But the decision has prompted a backlash from the Australian Licensed Aircraft Engineers’ Association, which has criticized the move to maintain aircraft that do not operate outside Australia in Singapore. READ Qantas plans for Cathay Hong Kong codeshare hit turbulence. The union has accused the airline of putting profit before safety and of leaving contractors brought in four years ago to do the heavy maintenance work “high and dry” without consultation and redundancy payments. “Qantas are taking advantage of a broken workplace relations system that bypasses fairness in favour of corporate greed,’’ ALAEA president Steve Purvinas said in a statement. Qantas argues ST Aerospace is approved by Australia’s Civil Aviation Safety Authority and already does work for Qantas, Jetstar and Qantas Freight as well as other international airlines. 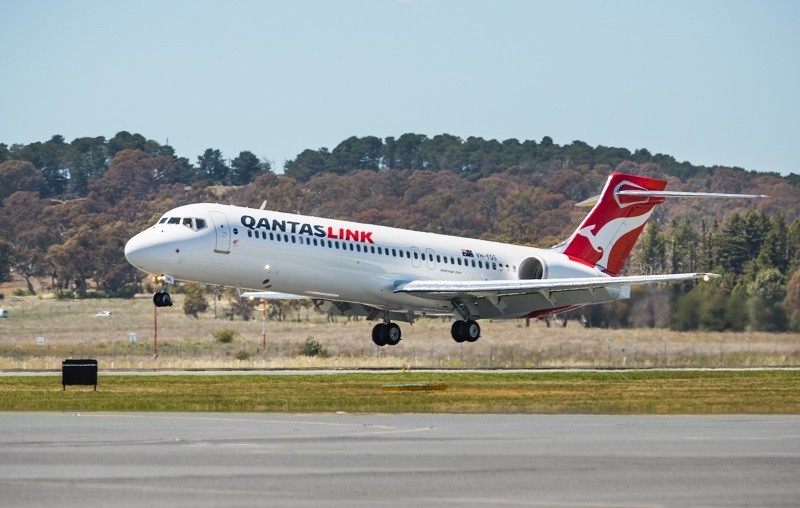 It says the maintenance will be done with the oversight of Qantas Engineering and Cobham Aviation, which operates the 717s for the group’s regional subsidiary, QantasLink. It also says the Canberra hangar, originally acquired from Impulse Airlines, will still do line maintenance on the 717s as well as its turboprop fleet and about 25 QantasLink engineers doing this work will remain employed. “We’ll continue to do the majority of maintenance on our B717 aircraft in Canberra,” a spokesman said. One of the problems, according to the Flying Kangaroo, is that the 717s only require heavy maintenance every two and a half years. This means there would be several periods over the next few years of no work for up to a month, a situation it says was not sustainable for the contractors. ST Aerospace, on the other hand, can adjust resources to match the program. Korr is working to identify internal redeployment opportunities and Qantas says it is willing to look at opportunities within the group if suitable positions are available. Qantas and Jetstar are the only airlines to conduct heavy maintenance in Australia, including on Airbus A330s and Boeing 737s, and the group still employs 3500 people. This is down from more than 4000 at the time it announced it was taking the 717 heavy maintenance to Canberra in 2015. The airline at that point had already axed hundreds of maintenance jobs as it consolidated its wider heavy maintenance operations in Brisbane, closing down facilities in Sydney and Victoria.